I've missed you during the last few hops, it's been a busy time! 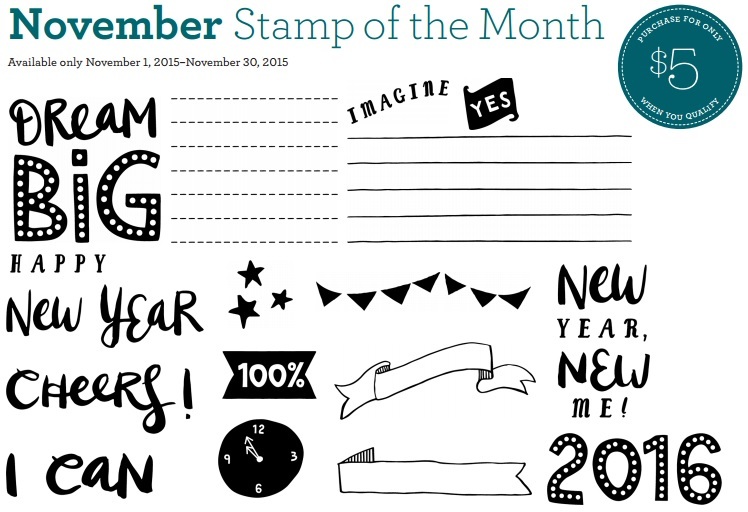 I'm back this month though as we share ideas using the November Stamp of the Month set! If you're coming from Wendy's blog you are headed in the right direction. 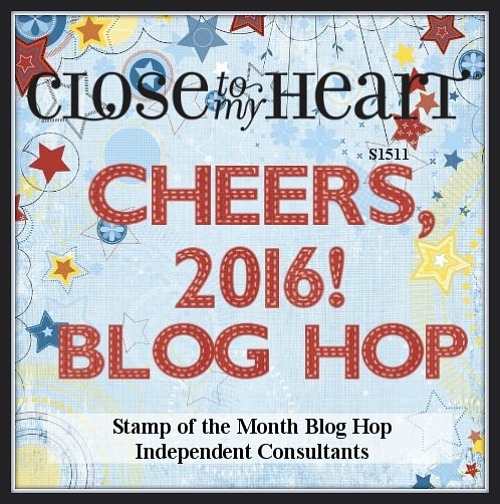 If you are just joining the hop here on my site- no worries! It should circle around so you don't miss a stop. First things first... Here's a photo of the set we're sharing with you tonight. 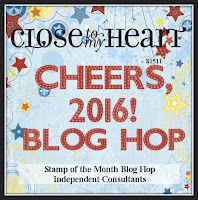 Now head on over to the next stop at Katie's blog! 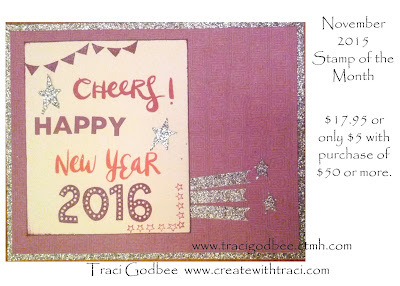 Great card, love the sparkle. Nice card! Love all the glitter. Purple and sparkles - two of my favorite things! Very cute, love how you have done the little banner.